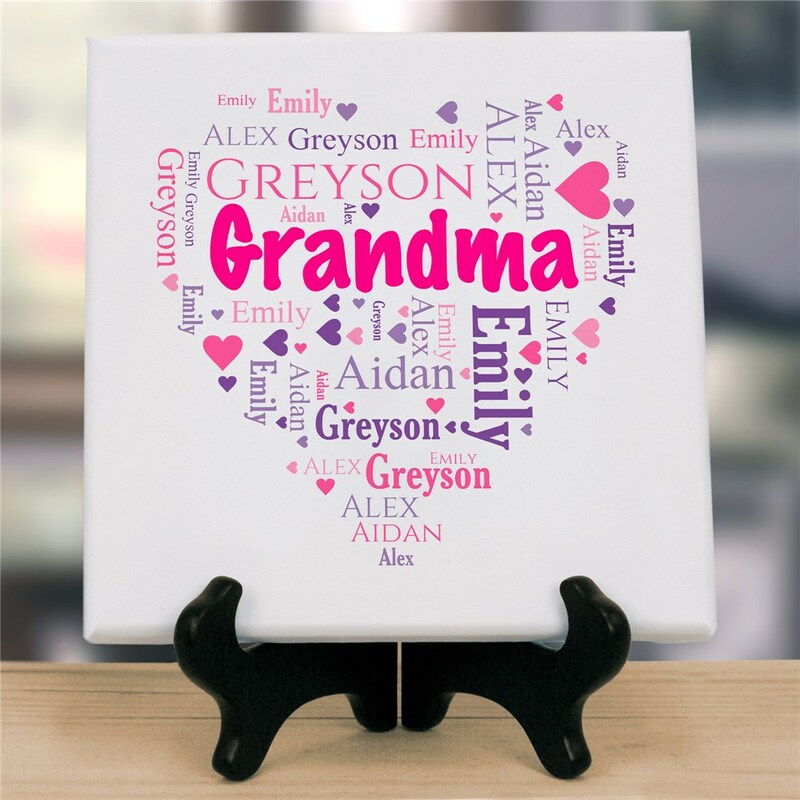 Let Grandma or Mom show off the loves in her life with a unique word art presentation of her grandchildren or children. This personalized canvas will look great displayed in her home or office and it makes a great Mother's Day gift idea. Word-Art Names area: We recommend placing all of your children or grandchildren's names in the Names area. Limit names to 20 character/spaces each. We recommend using 10 or fewer words for best presentation. When you see the Word-Art compilation you like, select the Add To Cart button. This will automatically save your design into your cart. If you would like to see another rendition of your Word-Art compilation simply select the View Your Personalization button again. This will automatically create another version for review. Once you are satisfied with the design, select the Add To Cart button. 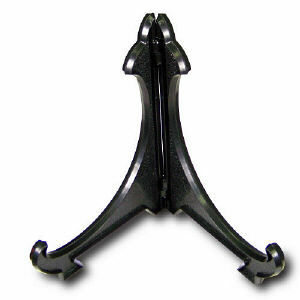 You may wish to add our Black Easel for a great desk display, sold separately. Additional Details Find more beautiful personalized gifts for grandma to show her some love whenever she needs it!